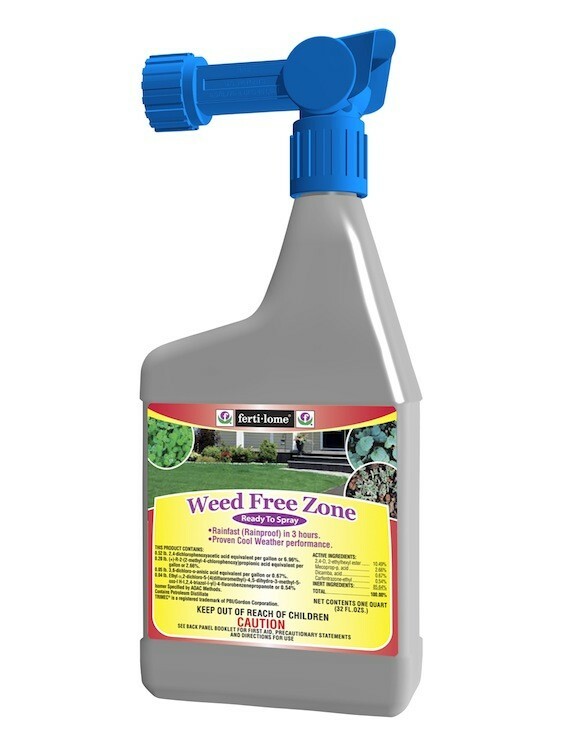 • Rapid and effective Weed control for common and troublesome Weed species in turf grass. • Fast acting with evidence of injury within hours. Generally the injury symptoms can be noticed within hours of the application and plant death can occur within 7 – 14 days. 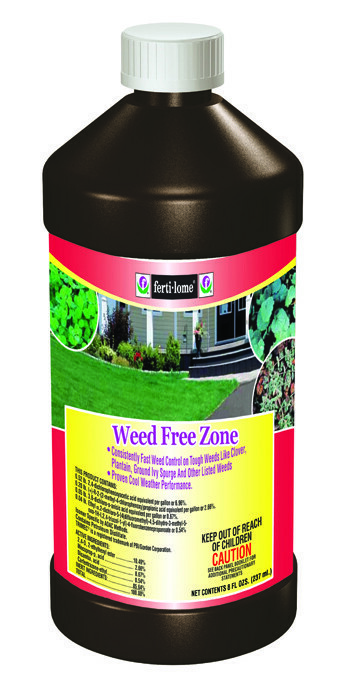 WHERE TO USE: This product is intended for use on most Ornamental Lawns including: Kentucky Bluegrass, Perennial Ryegrass, Tall Fescue Red, Fine Leaf Fescues, Colonial Bentgrass, Mixtures of Cool Season Species, Common Bermudagrass, Hybrid Bermudagrass, Bahiagrass, Zoysiagrass, Buffalograss, St. Augustinegrass and even Centipedegrass. GRASSY WEEDS CONTROLLED: Crabgrass, large and smooth, Foxtail, green, yellow and giant and Signalgrass. BROADLEAF WEEDS CONTROLLED: Aster, White Heath And White Prairie Bedstraw Beggarweed, Creeping Bindweed Black Medic Broadleaf Plantain Buckhorn Plantain Bull Thistle Burclover Burdock, Common Buttercup, Creeping Carpetweed Chickweed, Common Chicory Cinquefoil Clover Compassplant Curly Dock Dandelion Dayflower Deadnettle Dock Dogfennel English Daisy False Dandelion (*Spot- ted Catsear And Common Catsear) Field Bindweed (*Morningglory And Creeping Jenny) Field Oxeye-daisy (*Creeping Oxeye) Filaree, Whitestem And Redstem Florida Betony Florida Pusley Ground Ivy (Creeping Charlie) Groundsel Hawkweed Healall Henbit Innocence (Blue-eyed Mary) Lambsquarters Lawn Burweed Lespedeza, Common Mallow, Common Matchweed Mouseear Chickweed Old World Diamond Flower Oxalis (*Yellow Woodsorrel And Creeping Woodsorrel) Parsley-piert Pennsylvania Smartweed Pennywort (*Dollarweed) Pepperweed Pigweed Pineappleweed S Plantain Poison Ivy Poison Oak Prostrate Knotweed (*Knotweed) Puncturevine Purple Cudweed Purslane Ragweed Redweed Red Sorrel (*Sheep Sorrel) Shepherdspurse Spotted Spurge Spurge Thistle Veronica (*Corn Speedwell) TORAGE AND DISPO Virginia Buttonweed White Clover (*Dutch Clover, Honeysuckle Clover, White Trefoil And Purplewort) Wild Carrot Wild Garlic Wild Geranium Wild Lettuce Wild Mustard Wild Onion Wild Strawberry Wild Violet Yarrow Yellow Rocket. RATE OF APPLICATION: When mixing up single gallons for spot applications, add .75-1.5 oz per gallon of water per 1000 sq/ft of turf. The 8 oz size will treat up to 5,000 sq/ft of cool season turfgrass and up to 10,000 sq/ft of warm season turfgrass. The Quart RTS will treat over 20,000 sq/ft of cool season turfgrass and over 40,000 sq/ft of warm season turfgrass. PRODUCT DOCUMENTS: SPECIMEN LABEL 8 oz SPECIMEN LABEL RTS qt. MSDS SHEET 8 oz MSDS SHEET RTS qt. I also need a weed killer that can be used in the cold weather. My question is how low can the temperature be for this to still be effective???? If you review the label, you'll notice they don't list a specific temperature. They only word it saying "proven cool weather performance". But having used this product quite a bit the past few years, here's what I can tell you based on personal experience. First, it will definitely work down to 45 degrees. I say this because I've use it when the temps have been 45-46 and within a few days, I've seen the targeted weeds start to die. 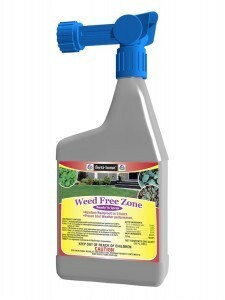 Now is it possible it can still kill weeds at 40 degrees or colder? I don't know. And I don't think I'll be using any in such cold anytime soon so I can't even run a test to see. I want to kill fescue and rye grass that accidently got into my rock pathway when over-seeding. Will this kill it ? I want to use it in the cooler weather (45-50 degrees). Thank you. This is not a good option. Here's why. Basically this product was created to be used over "good" turf like fescue so its not likely strong enough to do damage unless you over apply it which is not efficient. But we have a couple of viable options. The first is the Knock Out aerosol. One can can treat up to 150 sq/ft and it will kill everything you spray regardless of the temperature. The second option would be the selective herbicide we carry called Grass Killer. 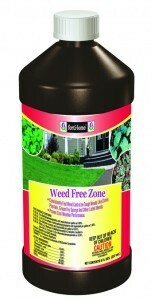 Designed for use in flower beds, it will kill both fescue and rye. Typically it works best when the temps are 65+ but if you add some Herbi-Oil to the tank mix, you should get positive results. The Herbi-Oil will get the product into the ground and foliage much sooner even though its still cool so you'll achieve positive results. But instead of it taking 7-14 days, it will most likely take a bit longer. Now to prevent this in the future, it would be smart to treat the area before seeding with Pramitol soil sterilant.